T-Mobile subscribers already score a free taco each week from Taco Bell thanks to the carrier's T-Mobile Tuesdays reward program. Now they are getting a free medium latte from Dunkin Donuts to wash it down with. While the combination of tacos and coffee might not sound appealing, the coffee flows freely each week from April 9th through the month of June. We have run into quite a number of T-Mobile subscribers who aren't aware of the freebies and discounts that they are entitled to each week. So before we give you the complete list of next week's giveaways, perhaps we should explain the program. Since 2016, T-Mobile has thanked its subscribers by offering them free food, personal items (like an umbrella), discounts, and more through the T-Mobile Tuesdays app available for both iOS and Android devices. Additionally, two or three times a month the carrier runs a sweepstakes that subscribers and even non-subscribers can enter (alas, there is no sweepstakes for next week). Free medium latte from Dunkin Donuts. Free taco from Taco Bell. Reserved tickers to see Ariana Grande (these you have to pay for) from Live Nation. 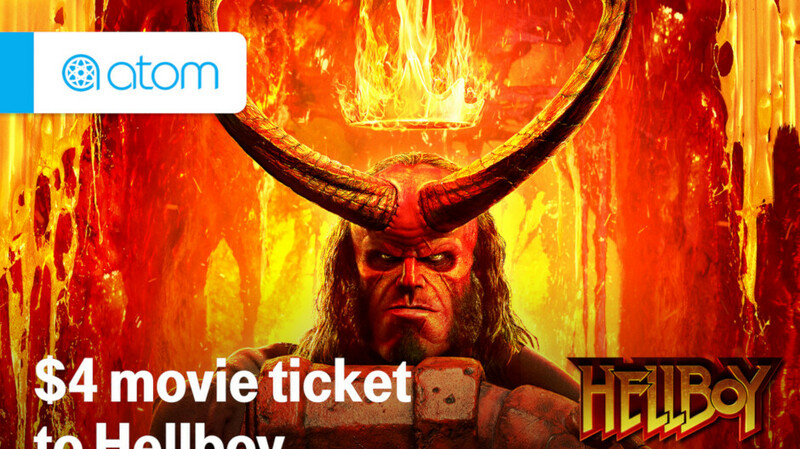 Pay $4 to see the new Hellboy film from the Atom app. 10 cents off Shell gasoline up to 20 gallons. $15 off select items plus free standard shipping from Cheryl's's Cookies. If you are a T-Mobile subscriber, there is no reason not to take advantage of this program. As of last count, the average T-Mobile customer receives nearly $1,000 of free items and discounts every year through the T-Mobile Tuesdays app.